Posted on September 24, 2018 by treelawyer	tagged. 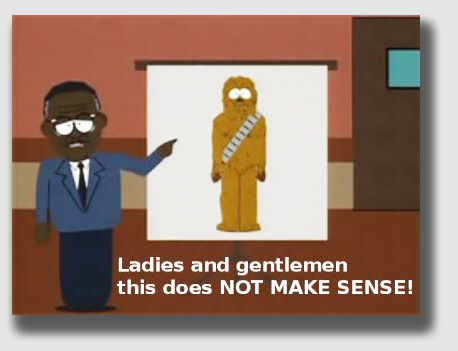 Every good trial lawyer knows how to employ the Chewbacca Defense. Today’s case is something like that. The facts are straightforward enough. Smith sold a gas station-restaurant-bar to Mendonsa, but carefully secured Mendonsa’s promise that he wouldn’t let the trees on the plot get so high that they shaded Smith’s adjacent orchard. Wouldn’t you know it, Mendonsa at some point decided he liked tall trees, or he didn’t like trimming tree, or he couldn’t find his clippers, or something. He let the trees grow, and they shaded four of Smith’s something-berry trees (we have no idea what he was raising in the orchard, but this being California, they probably weren’t plantain trees). Anyway, Smith sued, and Mendonsa, for some foolish reason, fought the action. The trial court found for Smith in due course, and then worked some rump math, figuring the past damages were about $140.00 a year (this was 1952, when a dollar was worth a bit more than now), and multiplied over three years, the damages were $420.00 (or $3,907.17 in 2018 dollars). The Court also enjoined Mendonsa from maintaining trees over 15 feet or branches which were hanging over on Smith’s land. 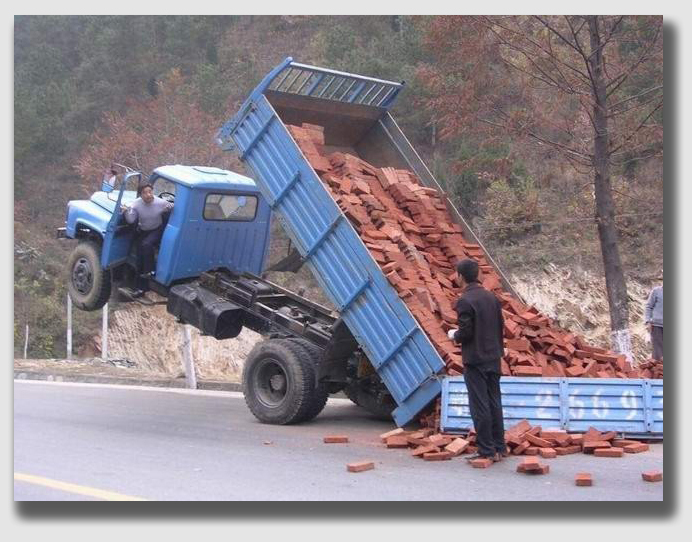 This case may be the legal equivalent of this – what were they thinking? Huh? In the words of South Park’s parody of Johnnie Cochran in the legendary Chewbacca defense: “that does not make sense.” If the wrongdoer isn’t entitled to argue that the court has to follow the “technical rules” of assessing damages, then who is? It’s a cinch the plaintiff isn’t going to do anything to restrain the court in calculating damages. This is probably one of those “hard cases make bad law” kind of decisions … but even so, it’s difficult to feel much sorrow for Mr. Mendonsa, who should have been enjoined and been made to pay damages. A deal’s a deal, after all. Smith v. Mendonsa, 108 Cal.App.2d 540, 238 P.2d 1039 (Ct.App. Cal. 1952). Smith entered into an agreement with Mendonsa concerning the use of a gas station, restaurant and bar he had sold to him. Mendonsa agreed that he would permit no trees to remain on the site which exceeded a height of 15 feet;, and that if any tree got taller than that height, Smith would have the right to remove the same. The purpose of the agreement was to prevent the shading of Smith’s orchard next door. land and to prevent trees on the appellants’ property from overhanging it. Mendonsa let the trees get too tall, and Smith sued to enforce the deal. 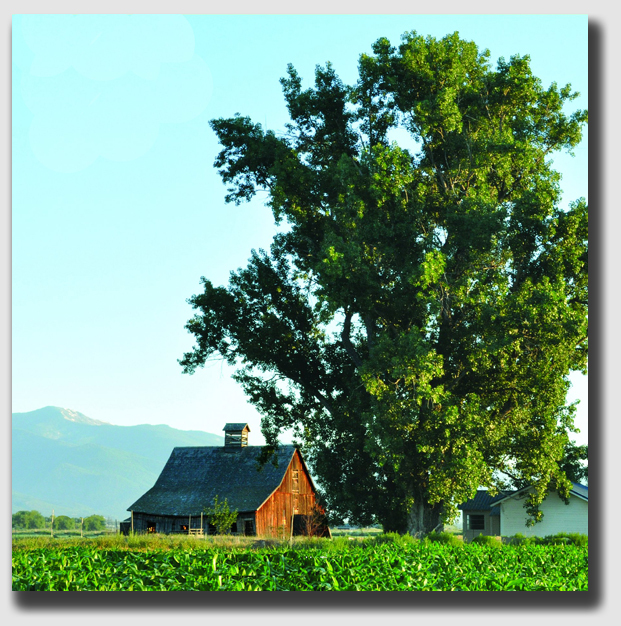 The trial court agreed with Smith, and awarded him money damages for past violation as well as an injunction prohibiting Mendonsa from maintaining any tree in excess of 15 feet in height or from permitting branches of any tree to overhang the orchard. Mendonsa appealed, complaining that the damages awarded weren’t supported by the record and that the injunction was too harsh. Held: The damages and injunction were upheld. The Court observed that the record showed that the shading of the orchard trees near Smith’s property line was detrimental to the growth of the trees themselves and would, during some seasons, decrease the yield of fruit on the affected trees. Four trees were affected, the evidence showed, and while the proof of damage was not exact, it nonetheless gave some fairly definite basis for computation. With respect to growing crops, the measure of damages is the market value of the probable yield without detriment, minus the cost of producing and marketing, and minus the return actually received. The damages awarded amounted to about $140.00 per year, and the period of the damage was three years. Additionally, there was damage in that the trees themselves were retarded in growth by the shade. The Court concluded that the record furnished adequate support for the award made. Anyway, the Court said, Mendonsa was in the wrong, and thus he was not in any position to demand application of the technical rules governing awards of damages. Where a party has suffered damage, the Court held, a liberal rule should be applied in allowing a court or jury to determine the amount, and that, given proof of damage, uncertainty as to the exact amount is no reason for denying recovery. As for the injunction, the Court held, in cases involving promises as to use of property, injunctive relief — depending upon inadequacy of damages — may be granted. A deal is a deal, the Court seemed to say, and where Mendonsa made the promise to keep the trees trimmed back and then violated it, the award of a perpetual injunction from maintaining any tree in excess of the agreed-upon height and from permitting branches to overhang was not an abuse of the trial court’s discretion. It is, after all, the duty of the court to encourage the keeping of agreements properly made and to give adequate remedy for breach thereof when it occurs, particularly where breach is deliberate and wrong is willful.